I loved getting mail when I was little from grandparents and special friends. Now our mailbox is mostly filled with catalogs and junk mail each day. We love finding creative ways to teach our preschoolers about the excitement of letter writing since it is rare to receive mail! 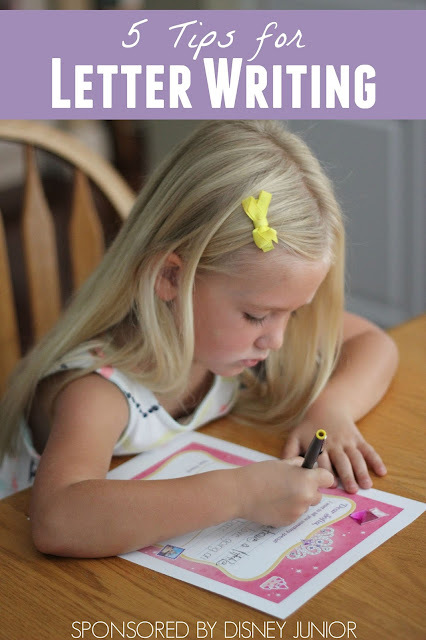 Today I am excited to share five simple tips for letter writing with preschoolers. These are just five of many tips that you can use when writing letters with preschoolers. We love to make writing time fun and stress free. My preschooler knows how to write her name so we make that a prominent part of letter writing. She also enjoys dictating sentences to me and then tracing the sentences that I've written. If your child isn't interested in tracing, they can just dictate their words to you so that you can write them and then they can be the illustrators. 1. 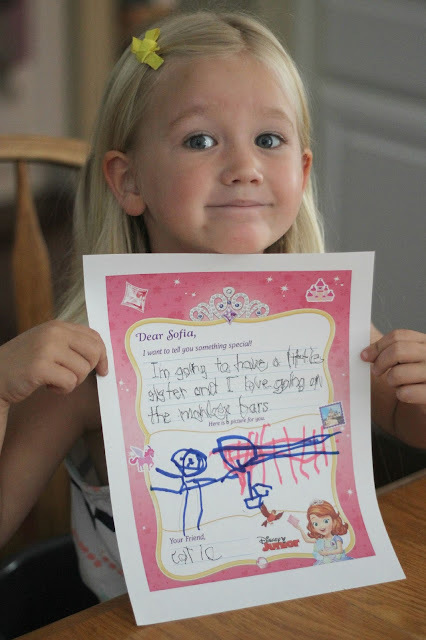 Have your child pick someone special that they are excited to write to. This week we wrote a letter to one of our favorite princesses, Sofia the First. 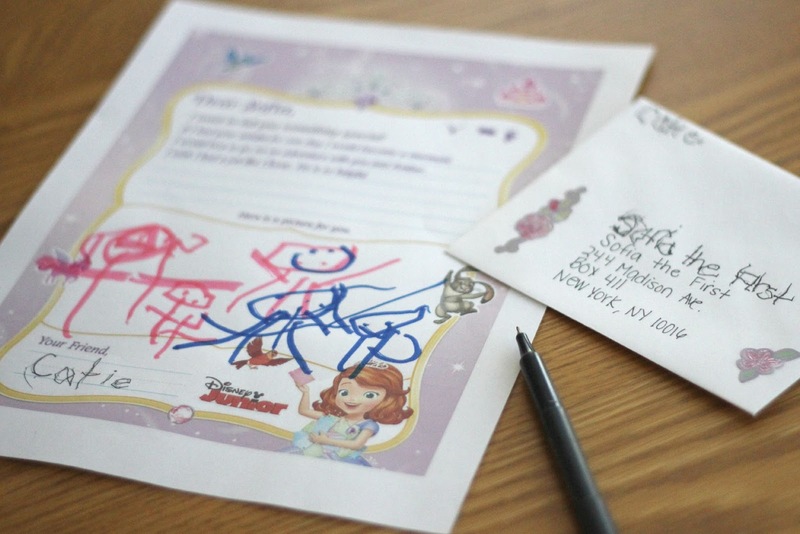 Over at Disney Junior, kids can create their own stationery and write a letter to Sofia the First! 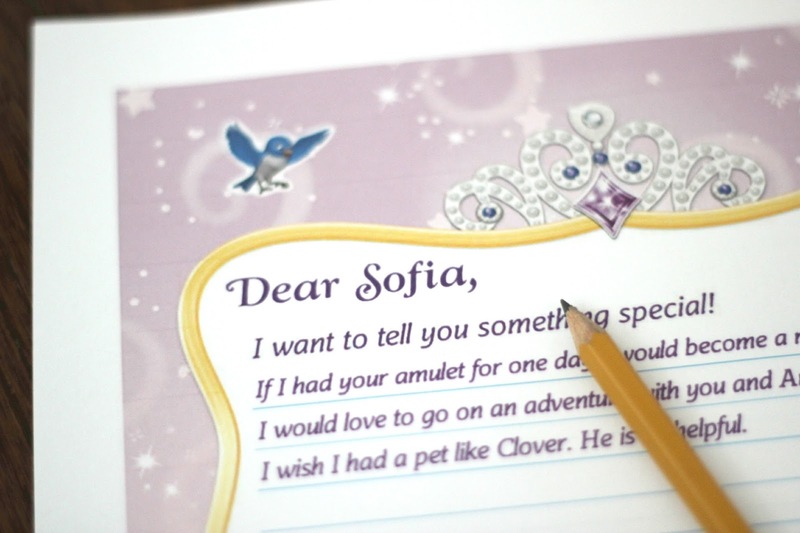 My daughter LOVES watching Sofia the First, so getting to write Sofia a letter was so neat! We were especially excited to find out that if we write Sofia a letter and mail it she will actually write BACK to us! 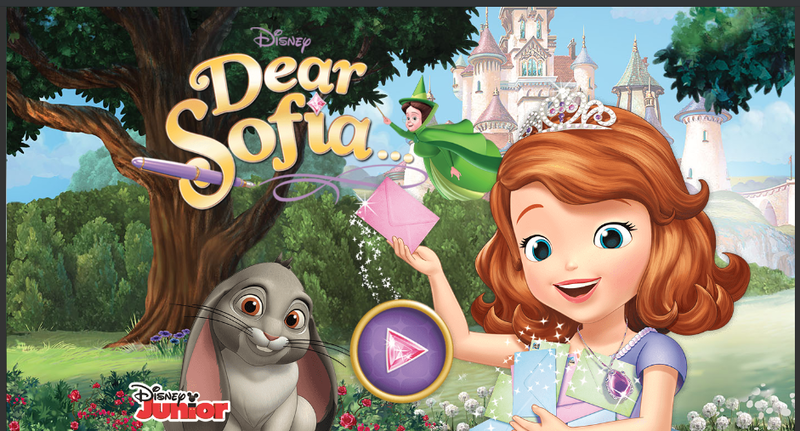 Head on over to Dear Sofia on DisneyJunior.com to learn more about how to mail a letter to Sofia or just check out the video below! 2. Start by having your child draw a picture or create one with stickers. Using the Dear Sofia website we created our own stationery and we even got to add special Sofia digital stickers to it! Next we printed out our stationery using our computer and then my daughter drew a picture featuring all of the things she wanted to share with Sofia. She is most excited right now that she is getting a new baby sister and that she can go across the monkey bars! If your child doesn't like drawing, find some favorite stickers and let her create a picture using stickers! While my daughter drew a picture on her new stationery, I made sure to have out pens, pencils, and some of her favorite markers and crayons. Having a variety of writing instruments makes writing more fun for kids! 4. Make a creative letter writing hat or accessory to wear while you write. 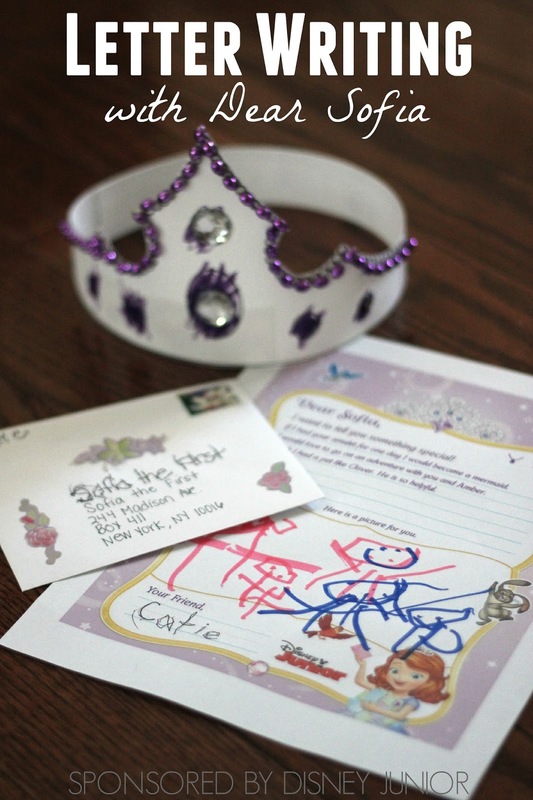 In addition to writing our letter to Sofia we also made a special letter writing crown so that my daughter would feel royal and princess-like while she was writing to her favorite friend. 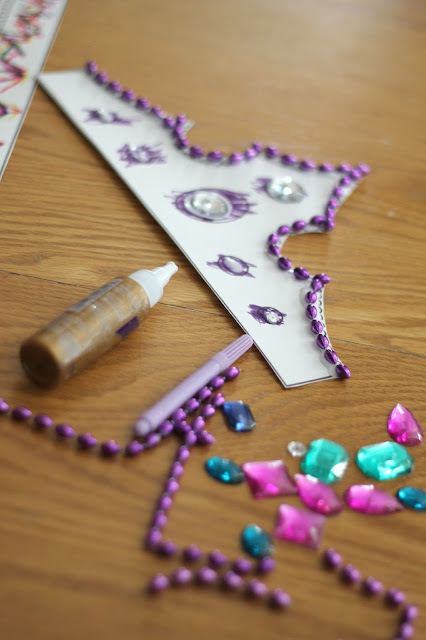 We decorated the crown with jewels and purple beads since Sofia loves purple! 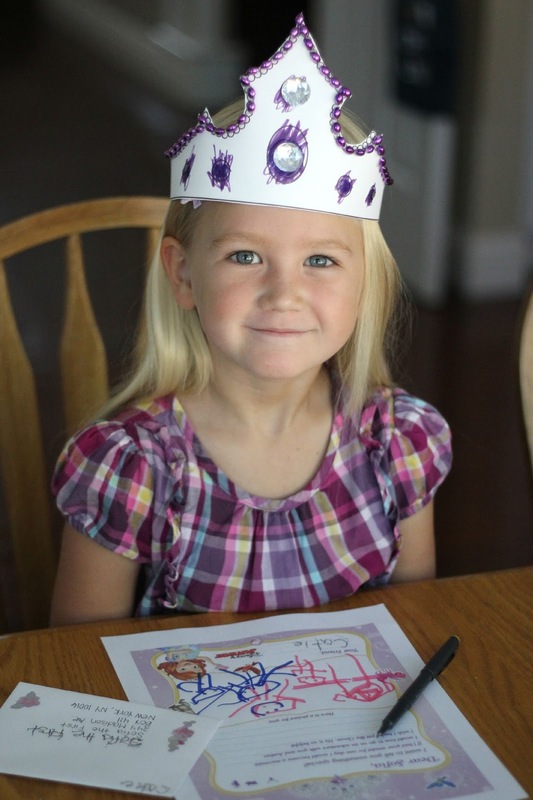 While my daughter addressed her envelope and wrote some of her letter she made sure to wear her special crown. Depending on who you decide to write a letter to you could make a crown, wear a scarf, make a hat or even design some sunglasses. This activity is a great way to get kids talking about who they are writing to and brainstorm some ideas for writing! It gets the creative juices flowing! 5. Keep writing time short. Writing can be exhausting for kids, especially ones that are still developing strong finger muscles. When we write letters we try and only write one or two sentences and then write our names and then we are done! We make sure to spend time talking about the basic parts of a letter. On the Dear Sofia site my daughter learned all about the parts of a letter from Fauna (the fairy) in a very visual and fun way. She was especially excited to write her name at the bottom of the letter! Do you have any other favorite letter writing tips that you've found helpful? We'd love to hear about them in the comments. Disclosure: This post is sponsored by Disney Junior. All opinions are mine.